Ethidium Homodimer III, also known as EthD-III, is a red fluorescent dead cell stain for bacteria and mammalian cells. It is a cell membrane-impermeant nucleic acid dye that stains only dead cells with damaged cell membranes. 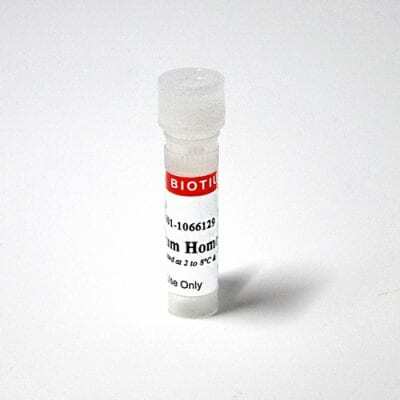 Ethidium Homodimer III was developed by Biotium as a superior alternative to Ethidium Homodimer I. The absorption and emission spectra are similar, but EthD-III is 45% brighter. Ethidium Homodimer III is membrane impermeant and useful for selectively staining dead cells with damaged plasma membranes. It also is a component of several combination viability assay kits for detecting both live and dead cells in the same population, such as our Viability/Cytotoxicity Assay Kit for Animal Cells (Cat. No 30002) and our Viability/Cytotoxicity Assay Kit for Bacteria (Cat. No. 30027). 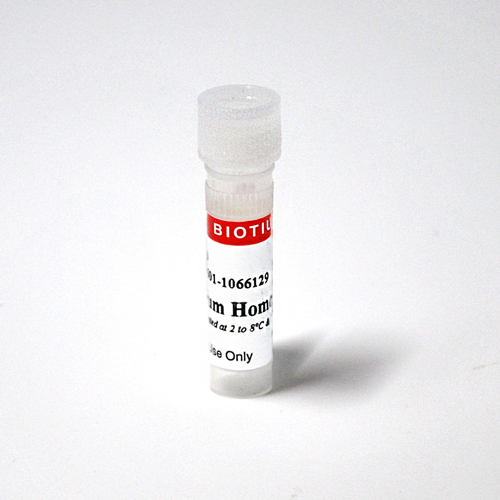 We also offer Ethidium Homodimer III, 1 mM solution in DMSO (catalog no. 40051). EthD-III is dead cell specific in all cell types, including mammalian cells, bacteria and yeast. See our Cellular Stains Table for more information on how our dyes stain various organisms. 1. Mol Cancer Res 6, 965 (2008). 2. J Pharmacol Exp Therap 332, 738 (2010). DAPI dilactate is essentially the same as DAPI dihydrochloride (catalog no. 40011) but with a different counterion for improved water solubility.